-Location is very good -It is very clean , changing sheets and pillows cover everyday and there is a lady her name (Kesara) I think , she is a very hard working person , quick, fast and honest, I like her very much. -Pool view is so beautiful . -all staff in reception are smiling and helpful. -air condition is very good. Location. Room Design. Staff. All excellent. Would definitely recommend. Good location, great staff. Very convenient from paying beach. Location was very good. Breakfast also very good. View was so good . 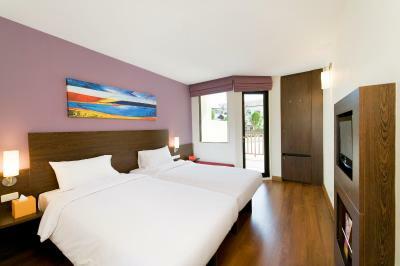 And usually in Ibis hotel I feel that they make big effort for the interior design . Likes the location and space of hotel lobby and Swimming pool. The property is located in a very good place. Patong bangla road is near by walking. No need Tuk Tuk . You can go by walking in the beach, Jungceylon the mall. Fruits seller was in front of the property. I really like the place and around the place. 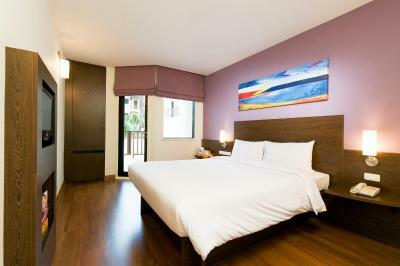 Ibis Phuket Patong This rating is a reflection of how the property compares to the industry standard when it comes to price, facilities and services available. It's based on a self-evaluation by the property. Use this rating to help choose your stay! Hotel Ibis Patong Phuket is favorably located in a quieter part of Patong, but still only a 10-minute walk from Bangla Road and 5 minutes from the beach. 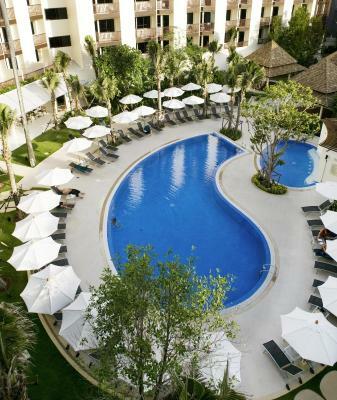 The Patong Phuket Ibis offers a fun time for all, with a large swimming pool and a full entertainment program. Rent a bike to see the local area, or use the car rental facility for longer trips. Relax in the modern and stylish room, and then go shopping nearby. The beach awaits a short distance away. Patong nightlife is close by also, but not too close to be noisy. 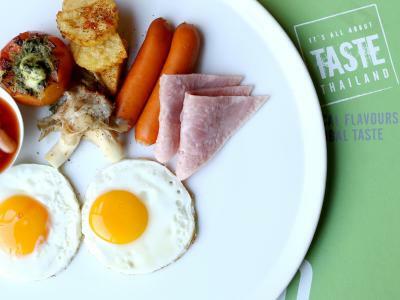 The Thai restaurant is influenced by tapas style. Choose any flavor combination to create a meal. Move to the bar for a favorite drink. Drinks and snacks are available 24 hours a-day. 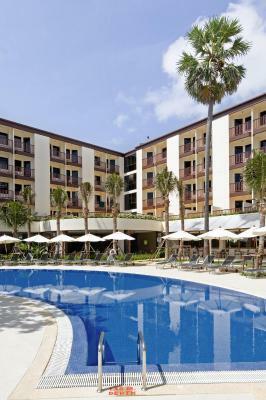 When would you like to stay at Ibis Phuket Patong? Air-conditioned room features a private balcony, a satellite TV and a refrigerator. A tea/coffee maker and a safe are provided. 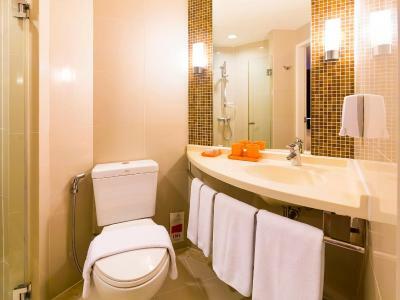 A hairdryer is included in a private bathroom. Room has a double and bunk bed. It features a private balcony, a satellite TV and a refrigerator. A tea/coffee maker and a safe are provided. A hairdryer is included in a private bathroom. 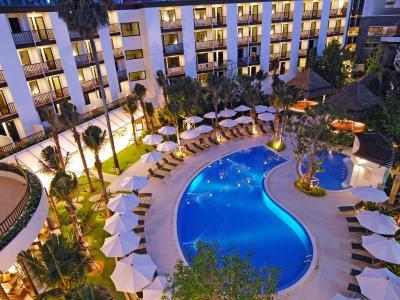 ibis Phuket Patong is a tranquil oasis in the heart of Phuket, just 500 metres from Patong Beach. 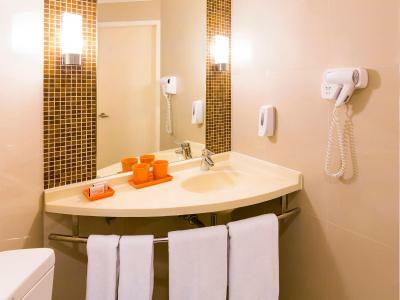 This modern, fun and friendly hotel offers 258 cozy and comfortable rooms with Wi-Fi internet, a swimming pool, and friendly service at a great price. 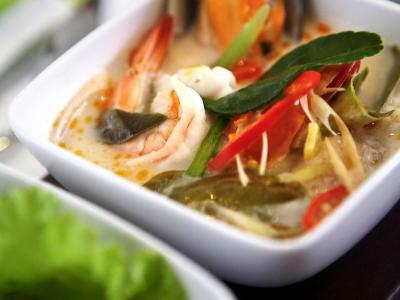 Guests can enjoy a restaurant serving Thai style tapas, 24 hour reception, 24 hour drink and snack service. House Rules Ibis Phuket Patong takes special requests – add in the next step! Ibis Phuket Patong accepts these cards and reserves the right to temporarily hold an amount prior to arrival. 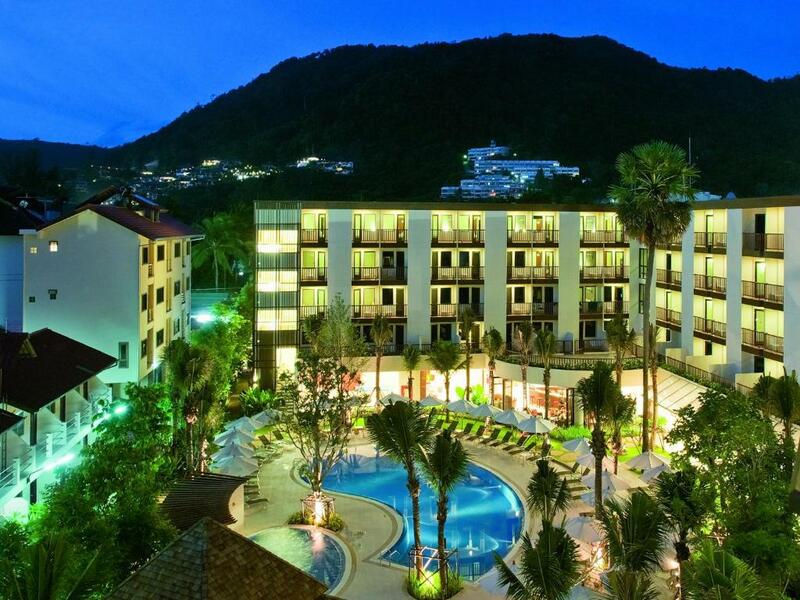 A security deposit of THB 500 (per night) is required upon arrival for incidentals. This deposit is fully refundable upon check-out and subject to a damage inspection of the accommodations. Space was too less. Not at all worth the price. Washroom was pathetic. -as soon as you open the room’s door you find the TV turned on a very silly advertising channel , this thing disturbed me very much. -I had a problem that I can’t shave my beard with my electric shaving machine because the plug in the bathroom doesn’t work for safety reasons as the staff told me . 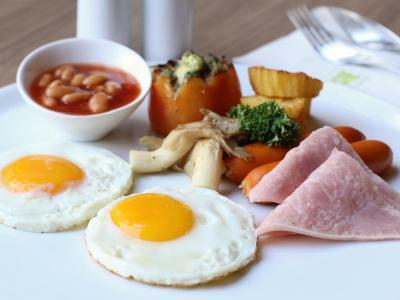 Breakfast was poor with low selection, and staff were slow and in effecient. The cleaning was good and the room was as expected. Good location. So far so good. No complain. check your bill correctly when you check out, i had phone calls and bills which didn’t belong to me . Rooms could be a little spacious. Central and close proximity to the beach. I liked the view from the hotel. the staff was good and helpful.